Athens, Ga. – University of Georgia assistant professor Andrea Sweigart is among 102 scientists announced as recipients of the Presidential Early Career Award for Scientists and Engineers, or PECASE, the highest honor bestowed by the U.S. government on scientists and engineers in the early stages of their research careers. Established in 1996 by President Bill Clinton, awardees are selected for their pursuit of innovative research at the frontiers of science and technology and their commitment to community service as demonstrated through scientific leadership, public education or community outreach. The recipients receive the awards in person each spring at the White House. Sweigart is an assistant professor in the Franklin College of Arts and Sciences department of genetics. Sweigart joined the UGA faculty in 2011 following postdoctoral positions at the University of Rochester and the University of Montana after completing her Ph.D. at Duke University. Sweigart’s research program is focused on understanding how natural populations evolve into reproductively isolated species. 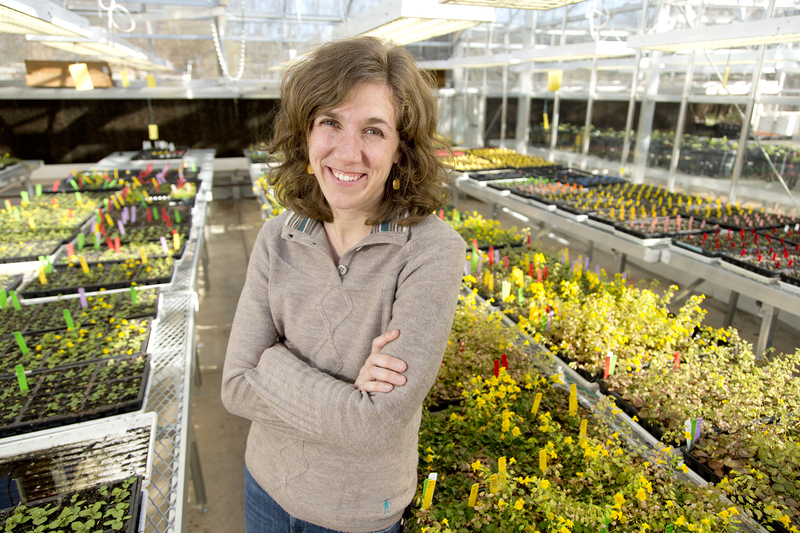 She and her lab have spent years collecting data on the genetic basis of adaptation and reproductive isolation in Mimulus, an ecologically diverse genus of wildflowers found throughout western North America. Their work has provided key insights into the genetic and evolutionary mechanisms of speciation, the formation of new and distinct species. In 2014, Sweigart was awarded a grant from the National Science Foundation Faculty Early Career Development Program. The five-year, $1 million grants support junior faculty who exemplify the role of teacher-scholars and the integration of education and research within the context of the mission of their organizations.